Collect Mal, Captain of the Firefly-class transport ship, Serenity. 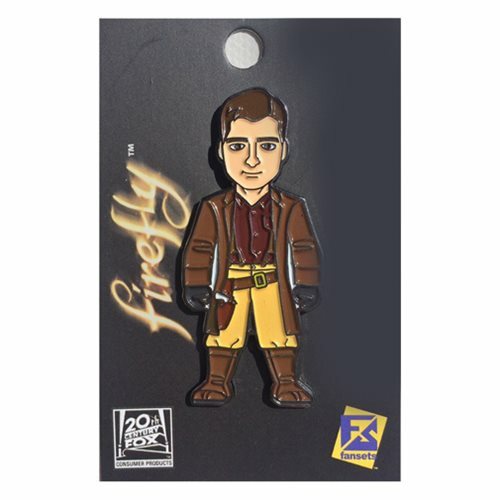 Your favorite characters from the cult space western drama, Firefly and its cinematic follow-up, Serenity, have been captured in pin form! These pins are perfect for wearing on your clothes or for adding to your collection. Grab all your other favorite characters (sold separately)! The Firefly Malcolm Reynolds Pin measures about 2-inches tall.